Today, I went to a teacher training class for using iPads in the classroom. This time of year, most of us are going 90-to-nothing with the kids getting them ready for tests, end-of-year projects/assemblies/programs, and ready to move on to the next grade or school. When we got to the inservice center, we were just in a place of numb, enjoying the silence. Thank goodness our instructor is very keen on the care and feeding of teachers. He had chocolate, caffeine, and he let us just chill for awhile discussing our favorite apps and what has worked or failed miserably. During our lunch break, I looked at all my apps on my phone and I noticed I have several that I use A LOT. And I have a few that I should either delete or start using. Here are my favorites, in no particular order. 1. Waterlogged. (free) It’s a simple water tracker. As much as I gripe about not getting enough water and not staying hydrated, this little tracker is great. I like seeing an empty glass each afternoon before I go home. 2. Runmeter. (PRO version is $4.99) This is the best running app I’ve found. It will track anything I need including elevation. I like that it is phone centric so I do not have to log in to a website. What I like the best that I didn’t think I would…it ranks my workouts for each individual route. Since I love trails, I don’t want to compare a trail run to a road run. Runmeter will analyze my stats and compare my Lake Lurleen trail runs separately from my Sokol park road runs. 3. Find Me Gluten Free. (free) A must for searching for GF items at restaurants. It updates frequently and give a link to the direct website so I can research further. 4. CrossFit Travel. ($1.99) This is a great app that will do the thinking ahead for you. If you’re traveling or you can’t make it to your location, flip through this app. It’s simple, creative, and has timers (including a tabata timer) built in. However, if you are new to CrossFit and not familiar with the terminology, this won’t help. There isn’t a dictionary or picture directory of the exercises. 5. Instant Heart Rate. (free)This app measures the tip of your finger to get a measure of your heart rate. I use it first thing in the morning to get an idea of my slowly decreasing resting heart rate. I wouldn’t base medical absolutes on this, but it’s a fun quirky FREE app. 6. Pocket Yoga. (free) I’m very new to yoga and this is a keeper. It has pictures of the poses! Most of the time, I feel like about as graceful as a buffalo, but in the privacy of my home with nobody to laugh at me except Frankie, I love this app. 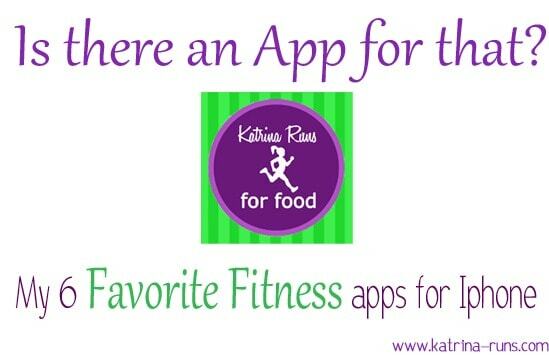 What are some of your favorite health or fitness apps? 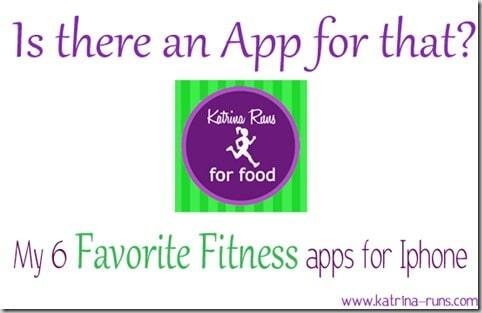 I’m fixing to check out the heart rate app and the cross fit app – thanks for the info!